I’m getting glasses! 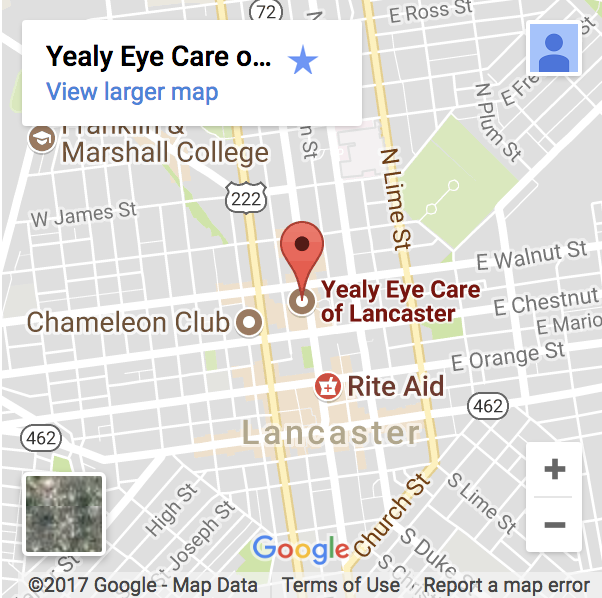 I went to Yealy Eye Center right downtown Lancaster on Queen street and holy cow, they were so nice. The doctor was really kind and funny and genuine, and all of the ladies at the front were just the same. I haven’t had an eye exam since they were done every year at school, and I’ve never had glasses before. They answered all of my questions and were really helpful when it came time to pick out my frames. Seriously if you wear glasses/contacts check them out. I’m so happy and satisfied with my first visit this morning, I will be yelling from the mountain tops how great they are.